Beautiful interior styling, great range of furniture and original artwork! Very professional, helpful and creative people! Could not speak more highly of them! Thank you for your kind words Isabella. It is such a pleasure working with you. 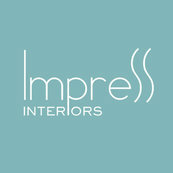 We engaged impress interiors to help dress up our home for sale/auction. What an amazing job they did. Really good quality furniture and art.